My original idea was to write a series of posts about writing and theater in Belarus the week following the rigged elections to show the obstacles facing free expression in Lukashenko’s authoritarian regime. Although I felt that the political dimension of Belarusian writing is often overemphasized at the expense of literary qualities, it still seemed a good occasion to draw attention to a situation that recalls the censorship and oppression of the pre-perestroika Eastern Bloc. The brutal post-election crackdown in Minsk changed what was an almost a casual connection into a vital link. Last week I spoke to Natalia Koliada, the director of the Belarus Free Theatre (BFT) group, about the company’s work and recent international performances. On Sunday December 19, Koliada was among the protesters arrested, reportedly being held by the KGB (the name still used by the country’s “state security agency”) for 14 hours without food, water or sleep. Subsequently released, Koliada and her husband and BFT artistic director Nikolai Khalezhin have gone into hiding. Manager of the BFT Artem Zheleznyak was also arrested and has reportedly been convicted of illegal assembly. 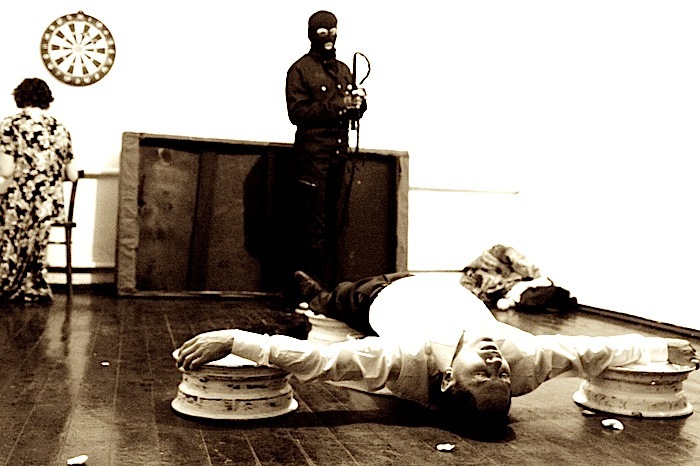 The Free Theatre was founded in 2005 and, as an unofficial, prohibited group, is forced to carry out performances in people’s apartments, sending out text messages or blog posts so people know when and where to go. This is underground theater in an entirely different sense of the word than is used in the west (or east, for that matter). With all theaters in Belarus state-owned and all directors state-approved it is not surprising that plays about anything remotely topical in Belarus never see the light of day. Likewise there is no infrastructure for the dramatic arts – no Belarusian theater festivals or educational programs, no translation of Belarusian plays into foreign language. The country’s dramatic life is as isolated as the country’s economy, but plainly can’t be supported by cheap Russian gas. International support has been and remains crucial. On the group’s website they list Václav Havel and Tom Stoppard as patrons, and recent performances of BFT plays include the above-mentioned performances in London, an Italian tour and a three week US tour. BFT is scheduled to perform the play “Being Harold Pinter” at New York’s Under The Radar Festival starting January 5, 2011, but it is unknown if the group will be able to safely leave the country in order to attend. “Being Harold Pinter” uses texts by the late friend and supporter of the theater group, Harold Pinter, together with transcripts of Belarusian political prisoners. More on the Belarus Free Theatre group, their work and the broader literary scene in Belarus coming soon.